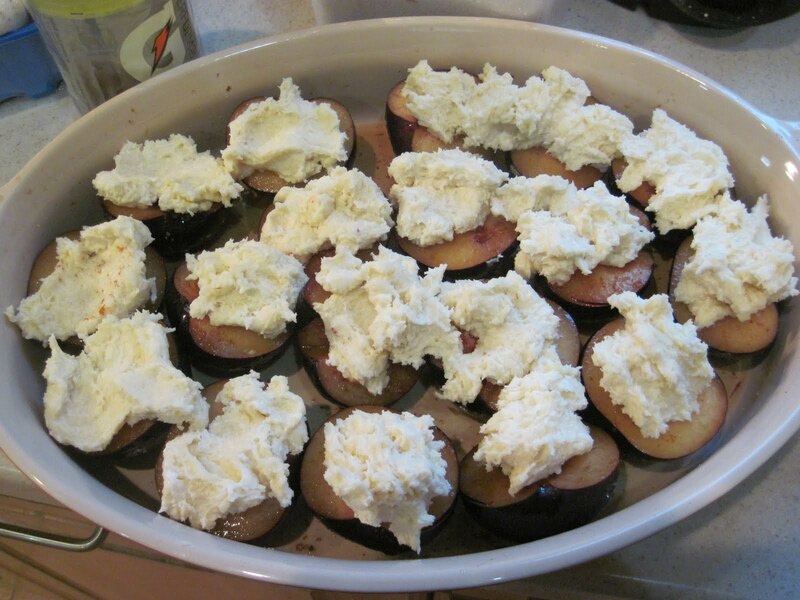 For some reason i’ve recently had a bit of a craving for plums. 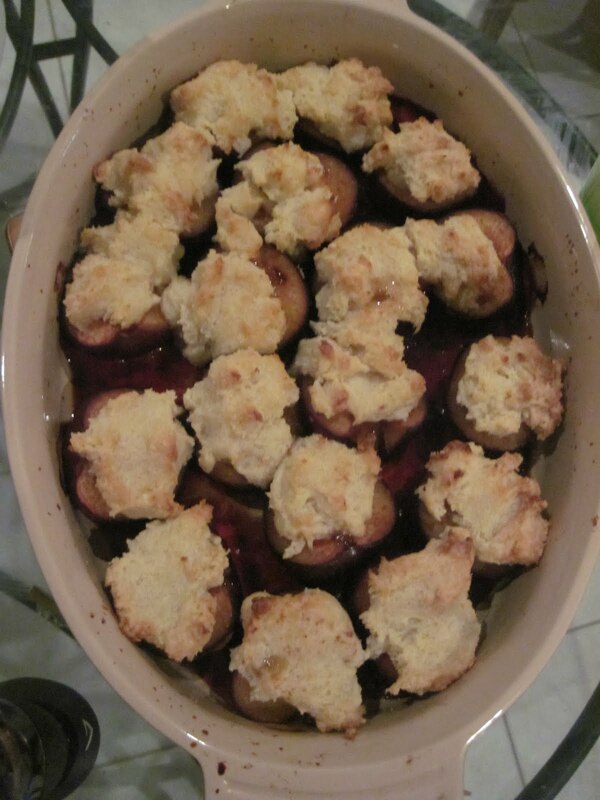 I’ve been deliberating on how i want said plums for a while now but eventually came to the decision that i thought a cobbler was the way forward. This was helped by Hayley screaming out “cobbler!” when presented with the options before her but still, i was happy with the outcome of this decision. In case you’re not 100% sure, a cobbler is basically as crumble topping all bound together with some liquid (usually buttermilk, milk or yoghurt). I went for a combo of plain yoghurt and whole milk, partly because i felt like it and partly because i couldn’t find any buttermilk here. This is such a good dessert, it’s something you can just throw together, bung in the oven and 45 minutes later you’ll retrieve something jammy and sticky and crunchy and generally just scrumptious. I think plums are a really overlooked fruit as well, they’re often not thought of as a very inviting fruit, often being overlooked in favour of a juicy little berry of some kind but my god they’re good. Especially if you get them when they have the perfectly sweet, just yielding flesh against the contrast of the sour skin. I always prefer a slightly sour fruit to something that’s all sweetness, for instance my favourite fruit is a gooseberry. It’s an old english fruit that’s becoming increasingly difficult to find and usually culminates in a last minute panicked rush to my local fruit farm when i realise the season is approaching and i haven’t yet reserved any. As there’s not a huge demand any more, they don’t really get grown on a large scale so they’re pretty hard to find and sell out fast. This year i’ve had to dispatch my mum as i’m away but keep your eyes peeled for a lot of delicious ways to use them up once i’m back in the good old english counrtyside. The other great thing about a dessert like this is how far you can stretch it, if you end up with far more people than you thought then you can just give them 1/2 a plum instead of a whole one and tah dah, double the servings. Very handy indeed. Another good thing about this kind of dessert is that it doesn’t need a lot of refined sugar if you get good ripe plums, most of it is naturally occuring fruit sugars. And thats always a good thing isn’t it? So, off we go. Place the plums, halved and stoned in an overproof dish in a single layer, they want to be kind of snug in there, grate over the cinnammon and sprinkle over the sugar and give it all a good toss around so that theres some on all the plums, slosh over the plum wine, or whatever you’re using and that’s it for the filling. By the way, plum wine is available from most asian shops but if you can’t find any, or even if you can’t be bothered to go and look, you can use something else. Red wine, fruit juice or even water would work but obviously the plum wine’s going to be the best. And serve. Doesn’t that look good? I was origionally going to serve this with some homemade custard but i got distracted so ended up just going with ice cream and actually think it was better than the custard would have been. The ice cold creaminess was perfect with the sticky, jammy plums. We went with vanilla but cinnamon ice cream would be reeeally good too, maybe just leave it out of the filling (the cinnamon that is, not the ice cream). For a cheeky tipple that night we decided it was about time we had some g&t’s, the first ones of the summer and very welcome they were too. For me it has to be Hendrick’s, an artisanal gin made in scotland, it’s truly delicious, dangerously so in fact, one just never seems enough. Luckily for us they had it in Nassau so i went for it, in an attempt to convert Hayley to it’s joys as much as anything else. I like mine with a slice of cucumber, something my grandad always did, back in the days when he still drank, so i suppose for me it also conjures up fond memories of gin and tonics on the patio in florida watching the sun go down. 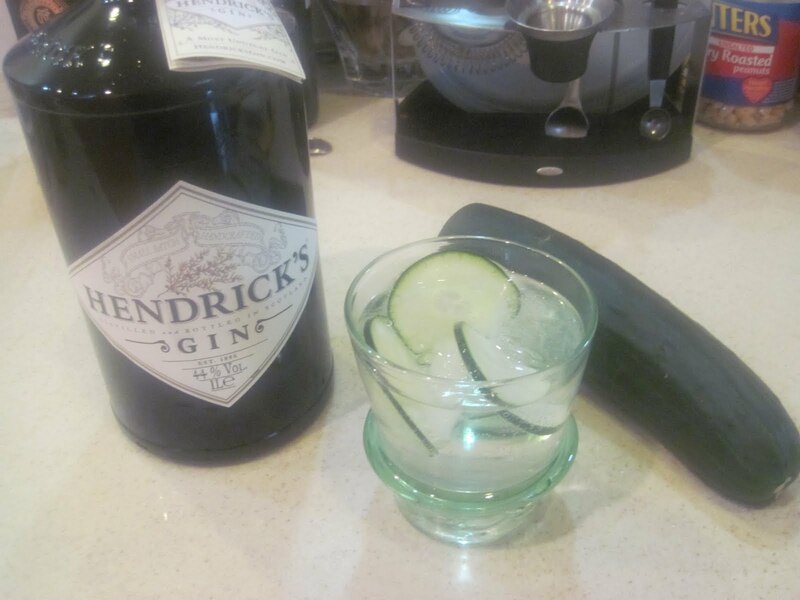 Any drink that can do that is fine in my book and as an added bonus, it tastes fantastic, the freshness of the cucumber cutting through the spicy richness of the gin. Yum yummy yum. I also believe that you should have gin and tonic in a short glass, i’m not entirely sure why, i just like it that way. Don’t forget, you need lots of ice, it’s not a drink that fares well at room temperature. I ususally go with about three slices of cucumber per glass, if you put it in the bottom of the glass and bash it a bit it’ll help let out the flavour a bit. Then add the ice, as much gin as takes your fancy at that particular moment and top up with tonic and you’re good to go. Now all you need is a patio and a sunset. Enjoy.